Planning this wedding with Neckishia and Dane, was pretty easy. And, though breathtaking, the day was not without it’s share of challenges. 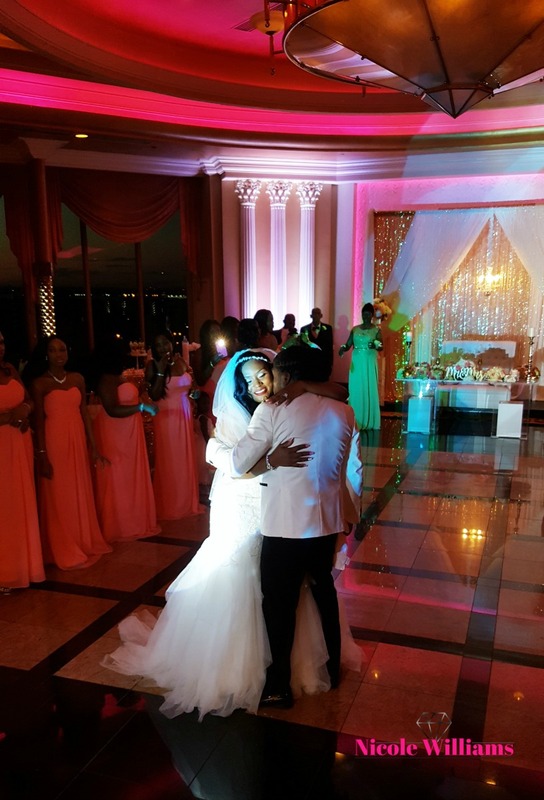 When it was all said and done, we survived a time-delay disaster and created a singular and memorable experience for the couple, their families, and their guests. 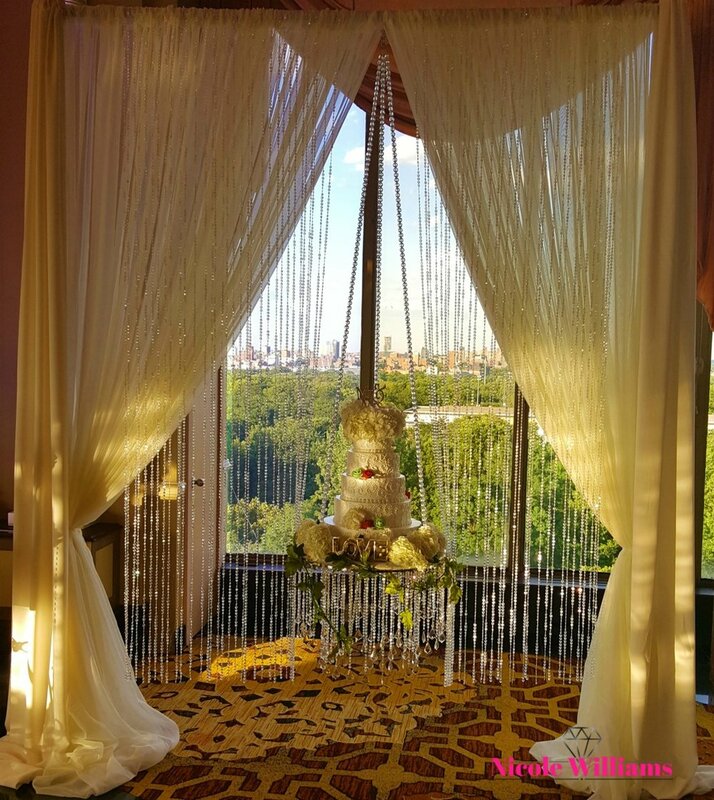 The gorgeous Terrace On The Park, which floats above the lush Flushing Meadows Park, with a panoramic view of the New York skyline, serving as the backdrop. 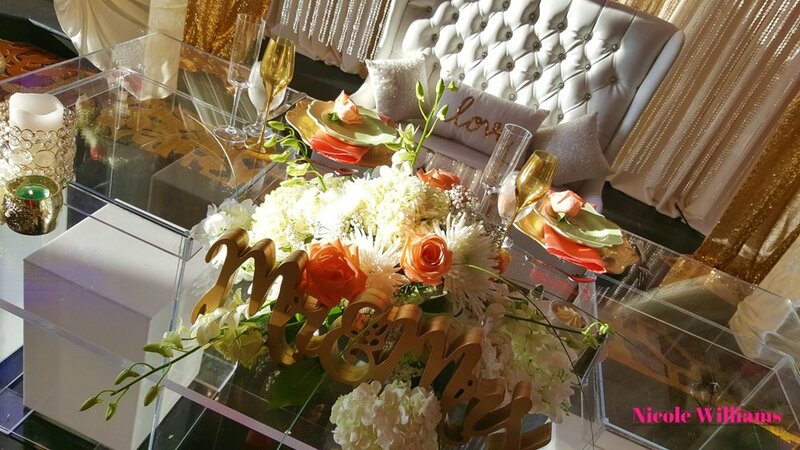 The wedding featured luxe and unique low-cost ideas seamlessly blended for a sophisticated feel. The scene is kept timeless with the gold tones popping through the mint green and fuchsia-colored palette.